ST.JOHN RIPS OPEN TINSELTOWN SECRETS! HELLO AMERICA! Upon leaving Fox Studio I was ready to return to the usual gossip world of madness. As soon as it was known that I was resuming my column, the phone began to ring off the wall. Sonny West, a mutual friend and one of Elvis Presley’s bodyguards, called and gave me information about the rock king that no one else had. When he shot out his TV set in his Las Vegas suite, I was able to break the story first. Every time he had a new girl in his bed, the phone rang to give me the scoop. My editor at Curtis Publishing in New York was puzzled as to how I was getting the information, but I couldn’t reveal the name, because of my friend’s position with Elvis. Years later when he had been fired, Sonny wrote a scathing book about the singer’s lifestyle. We called the teenage book Teen Talk. It was a fun book to put together. The kids hungered for news about Alice Cooper, Frank Zappa, Dion, David Bowie, The Rolling Stones, Elton John, and always my friend Elvis. My art director, a gifted New Yorker by the name of Sal Scorza, and I produced a damn good publication that was filled with photos and short, entertaining stories. Because of his experience on some of the biggest publications out of New York, Sal helped to produce a product that was a step above the average fan magazine. The Hayward story was too hot to hold, and we gave it an explosive front cover treatment. As soon as it hit the stands, my office was flooded with calls from everybody in town congratulating me on how the Susan Hayward story was handled. 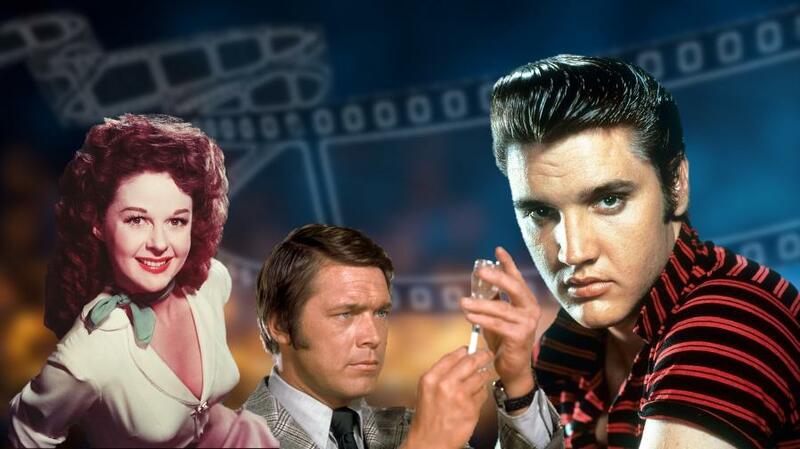 One call was from a bit player who claimed that Medical Center star, Chad Everett, was the father of her child. Since he was very much married, it was good copy. She had no money and Chad was denying that he was the father. She had an attorney but believed if she were able to get some press, it might persuade the actor to face up to and deal with the situation. After writing the story, the paternity suit was settled out of court. The condition was that the actress would not disclose the financial details of the case. As I sit in my office in Hollywood, I reflect on the journey as entertainment columnist, which has taken me to some of the most exciting places in the world; a profession that has allowed me to know some of the most famous, outrageous and colorful people one could possibly imagine. Some might call it luck, but I believe it has been, and is, my destiny. I simply go with the flow and soak in the magic of it all. HELLO!